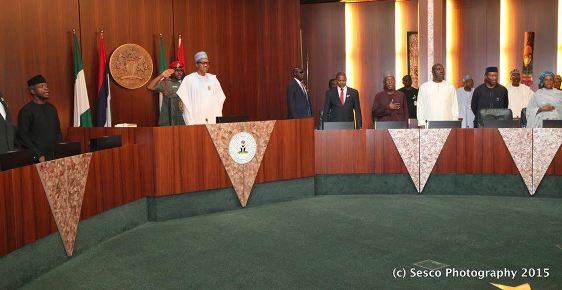 The Federal Executive Council (FEC) has approved N2.7 trillion for payment of the Federal Government’s discounted obligations. The money consists of N740 billion of outstanding pensions and promotional salary arrears (not discounted) and N1.93 trillion (discounted) of other obligations including dues to Federal Government contractors and suppliers. This was revealed yesterday by the Minister of Finance, Mrs Kemi Adeosun, while briefing State House correspondents at the end of the council meeting at the Presidential Villa, Abuja. Mrs. Adeosun said the obligations accumulated over the last two decades and will be paid through bonds and promissory note issuance to resolve long outstanding dues and to also stimulate economic activity. The spokesperson for the Ministry, Salisu Danbatta, in a background note, said the debt issuance programme is to resolve a number of inherited and long outstanding Federal Government obligations to contractors, state governments and employees. “This will be followed by a request to the National Assembly to approve the programme ahead of implementation,” he said. Earlier in March, the Economic Management Team (EMT) under the leadership of Acting President Yemi Osinbajo, had mandated the Minister of Finance to head a committee that would establish a process to confirm the validity of inherited Federal Government obligations and propose a mechanism to resolve them. These obligations consist of dues owed to state governments, oil marketers, power generation and distribution companies, suppliers and contractors to Federal Government parastatals and agencies, payments due under the Export Expansion Grant (EEG), outstanding judgement balances as well as pension and other benefits to Federal Government employees. “Some of the obligations date back as far as 1994. The resolution of this will significantly enhance liquidity in critical sectors of the economy,” he said. He added that the supplier and contractor obligations will be resolved through a strict process of final validation, following which those confirmed will be settled through the issuance of liquid promissory notes (10-year tenure) phased over a three-year period to minimise impact on liquidity and with preference given to those willing to offer the largest discounts.